Disclaimer - Valuentum Securities Inc.
Valuentum is not a money manager, is not a registered investment advisor, and does not offer brokerage or investment banking services. Valuentum has not received any compensation from companies highlighted on this website. Valuentum, its employees, independent contractors and affiliates may have long, short or derivative positions in the securities mentioned on this website. The information contained on this website is not represented or warranted to be accurate, correct, complete, or timely. This website is for informational purposes only, and any content on it or downloaded from it should not be considered a solicitation to buy or sell any security. No warranty or guarantee may be created or extended by sales or promotional materials, whether by email or in any other format. The securities or strategies mentioned on this website may not be suitable for all types of investors. The information contained on this website does not constitute any advice, especially on the tax consequences of making any particular investment decision. The material on this website is not intended for any specific type of investor and does not take into account an investor's particular investment objectives, financial situation or needs. Information and content on this website is not intended as a recommendation of any securities highlighted or any particular investment strategy. Before acting on any information found on this website or downloaded from this website, readers should consider whether such information or any investment idea is suitable for their particular circumstances, perform their own due diligence, and if necessary, seek professional advice from a personal financial advisor. The sources of the data used on this website are believed by Valuentum to be reliable, but the data’s accuracy, completeness or interpretation cannot be guaranteed. Assumptions, opinions, and estimates are based on Valuentum's judgment as of the date of the published articles and/or content and are subject to change without notice. Valuentum is not responsible for any errors or omissions or for results obtained from the use of this report and accepts no liability for how readers may choose to utilize the content. In no event shall Valuentum be liable to any party for any direct, indirect, incidental, exemplary, compensatory, punitive, special or consequential damages, costs, expenses, legal fees, or losses (including, without limitation, lost income or lost profits and opportunity costs) in connection with any use of the information contained on this website. Investors should consider content on this website as only a single factor in making their investment decision. Valuentum is not a money manager, is not a registered investment advisor, and does not offer brokerage or investment banking services. Valuentum has not received any compensation from any company or companies highlighted on this website. Valuentum, its employees, independent contractors and affiliates may have long, short or derivative positions in the securities mentioned on this website. Information and data in Valuentum’s valuation models and analysis may not capture all subjective, qualitative influences such as changes in management, business and political trends, or legal and regulatory developments. Redistribution of any content on this website is prohibited without written permission. Readers should be aware that information in the works on this website may have changed between when the works were written or created and when they are read. There is risk of substantial loss associated with investing in financial instruments. Valuentum's company-specific forecasts used in its discounted cash flow model are rules-based. These rules reflect the experience and opinions of Valuentum's analyst team. Historical data used in Valuentum's valuation model is provided by Xignite and from other publicly available sources including annual and quarterly regulatory filings. Stock price and volume data is provided by Xignite. No warranty is made regarding the accuracy of any data or any opinions. 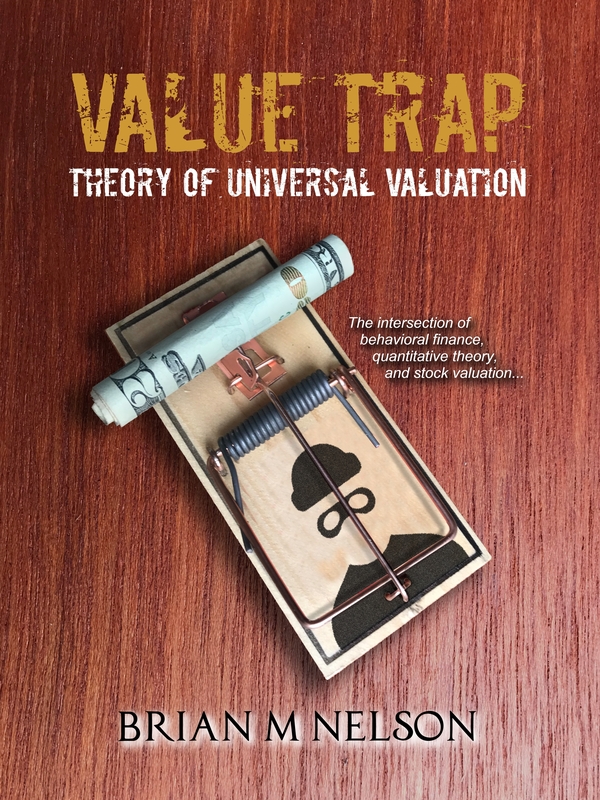 Valuentum's valuation model is based on sound academic principles, and other forecasts in the model such as inflation and the equity risk premium are based on long-term averages. The Valuentum proprietary automated text-generation system creates text that will vary by company and may often change for the same company upon subsequent updates. Valuentum uses its own proprietary stock investment style and industry classification systems. Peer companies are selected based on the opinions of the Valuentum analyst team. Research reports and data are updated periodically, though Valuentum assumes no obligation to update its reports, opinions, or data following publication in any form or format. Performance assessment of Valuentum metrics, including the Valuentum Buying Index, is ongoing, and we intend to update investors periodically, though Valuentum assumes no obligation to do so. Not all information is available on all companies. There may be a lag before reports and data are updated for stock splits and stock dividends. 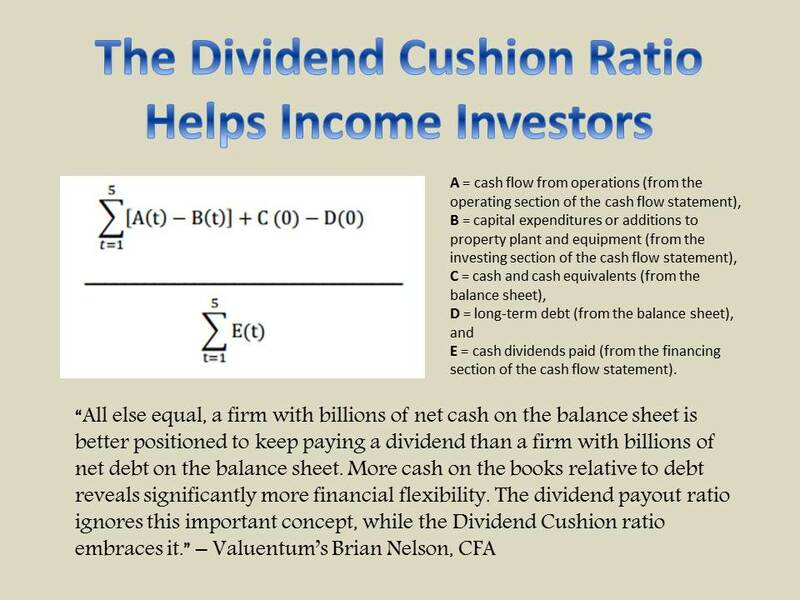 The Best Ideas Newsletter portfolio, Dividend Growth Newsletter portfolio, and High Yield Dividend Newsletter portfolios are not real money portfolios. Any performance, including that in the Nelson Exclusive publication, is hypothetical and does not represent actual trading. Past performance is not a guarantee of future results, and actual results may differ from simulated performance being presented on this website. Valuentum is an investment research publishing company. For general information about Valuentum's products and services, please contact us at info@valuentum.com.